The United Nations High Commissioner for Human Rights (OHCHR) is concerned about the lack of effective investigation into conflict-related human rights violations in Donbas, such as arbitrary detention, torture and ill-treatment in government-controlled territory. "It observed that investigations are inefficient, with no practical steps taken to investigate allegations of torture and ill-treatment … OHCHR is also concerned about a lack of accountability for incommunicado detention, torture and ill-treatment, including in the premises of the Kharkiv SBU," says a report on the human rights situation in Ukraine from May 16 to August 15, 2018, made public in Kyiv on Wednesday. According to the report, OHCHR has documented more than 160 (85 of which occurred during the reporting period) of violations and abuses of human rights, of which 282 were victims. "During this reporting period, OHCHR documented more than 160 violations and abuses which affected a total of 282 victims, representing a level of human rights violations and abuses similar to the previous reporting period. Of these, 85 human rights violations and abuses were committed during the reporting period. The Government of Ukraine was responsible for 53 violations (62 per cent of those recorded), armed groups for 10 (12 per cent of those recorded), and the Government of the Russian Federation (as the Occupying Power in the Autonomous Republic of Crimea and city of Sevastopol ) for 22 (26 per cent of those recorded)," it says. Thus, the OHCHR notes that from April to June 2018, the number of internally displaced persons (IDPs) receiving pensions fell by 15 per cent, from approximately 562,000 to 477,000. OHCHR recorded 105 conflict-related civilian casualties: 12 killed and 93 injured. 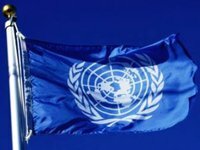 "Inextricably linked to the hostilities are the persisting conflict-related serious human rights violations and abuses attributable to all parties, including unlawful or arbitrary detention, incommunicado detention, torture, ill-treatment, sexual violence, and/or threats to physical integrity. OHCHR documented 74 such violations and abuses – 15 of which were committed during the reporting period. The Government of Ukraine was responsible for ten of these (67 per cent), armed groups for three (20 per cent); and the Russian Federation as the occupying power in Crimea for two (13 per cent)," it said. The findings presented in this report are based on data collected by OHCHR through 177 in-depth interviews with victims and witnesses of human rights violations and abuses, as well as site visits in both government-controlled and armed group-controlled territory.